Since I love geography, we'll be seeing the Challenge Team throughout the day based on their location in the United States from east to west! Say hello to Erin Lee Schreiner, a Kansas native living in the Dallas/Fort Worth area. 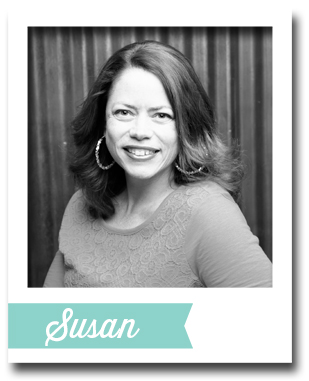 This is the seventh of nine posts on this blog today (every two hours from 4 am EDT to 8 pm EDT) where the MFT Challenge & Inspiration Team and our October Guest Designer will share Christmas and holiday cards and tips. 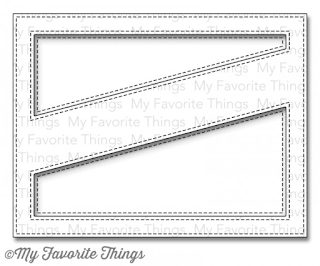 Take a look at Erin Lee's fun card! "Creating a shaker scene is so easy with the brand new Winter Wonderland set. There are so many little choices for creating your own village! I die cut, stamped, and colored all of the pieces, and then determined which pieces I wanted to use by laying them in the space I had created for my shaker. I didn't use them all, so I saved the rest in a storage pocket for my next card!" Happy World Card Making Day from My Favorite Things! See you at 6 pm EDT! LOVE the card and new stamps and die!! Shaker cards are so much fun! The shaker scene is gorgeous! Wow, love the cover ups and this diagonal cover up is another must have! Love the little images in your shaker window! They are precious! Happy WCMD! This is amazing! This card is so cute. The shaker scene is absolutely beautiful. great job!!! Love the shaker/snow globe card- very cute! Really cute card! Can't wait to see the other little pieces in the set! Love your card and all the details on it. TFS! I so love snowy scenes - and the mountains in the background are fabulous!!! And those new Christmas sentiments are such a fabulous font. LOVE this cute scene you created!!! Such a cool shaker card! That's a Great Tip Erin. Love your shaker card. Bravo! Great card, thanks for the tips. What an awesome card ..... love the scene you created ...truly inspirational!! Absolutely LOVE this card. I will be crafting one myself as soon as I can. Love the font you use for those stamps and that die is to die for!!!!! 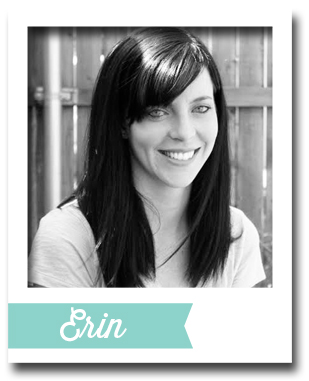 Love Erin's gorgeous shaker card too!! Love this adorable little scene shaker, so cute! Such a gorgeous card! Your designers are so amazing! Love this creative design! Love the shaker part. So cool and cleaver, Love it. Ohhh- What a fun scene! That stitched cover up is fab! I am loving that card! Fantastic! Wow Erin what a gorgeous shaker card !!! LOVE this card! Awesome shaker! This is absolutely adorable! Love it! I loved the first cover up so I am sure I will love this one. So great for sentiments! What a cool card - love the wavy elements! Great die cuts to create the white panel and love the little scene. I adore this Little scene on card..So beautiful.And I love shaker part too..Thanks for the inspiration and chance to win!! Clever how you made the snow on your cute card. Great prize too. 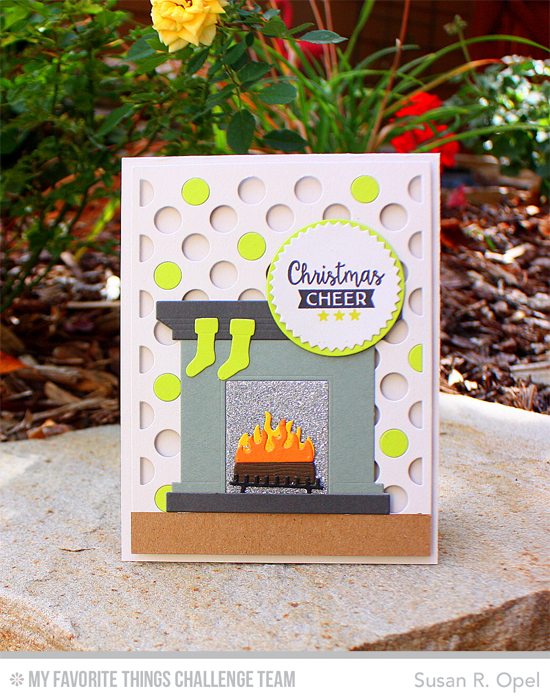 Erin, your shaker card is so pretty ... love the scene you created! What a fresh and pretty design! Thanks for the chance to win some amazing prizes! Such a fun scene you created!! What a unique card! I love the scene created on the bottom of the card. What a fun card and very inspiring! The way to create a shaker card is awesome! Erin this card rocks...love the way the white is cut and how you made the shaker piece! What a wonderful shaker card. Love your village. What an awesome design! Love the background! Your shaker card is so sweet! I love the little scene you created. The deer is my fav! What an adorable little scene! Love that it's a Shaker card! Very cute! What a neat card! I'm in trouble this release - lots of must have dies and stamps!!! That stitched cover-up and large sentiments will be perfect for making cards in multiples. Oh! I really love these festive stamps font....they are absolutely a winner! 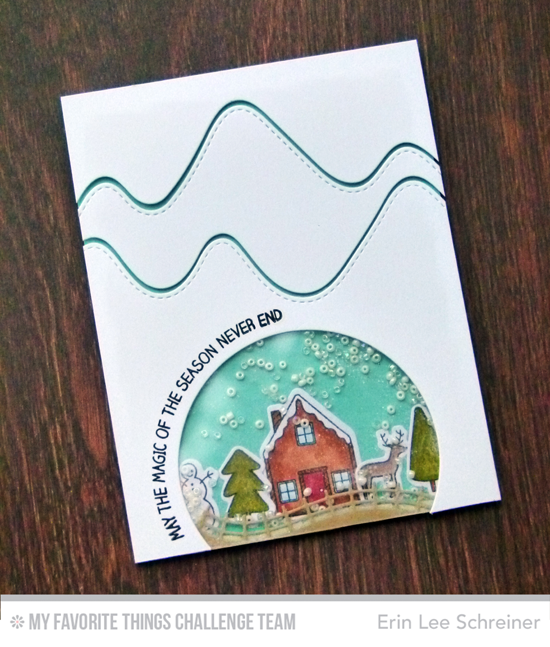 Love the stitched mountains paired with your shaker card! 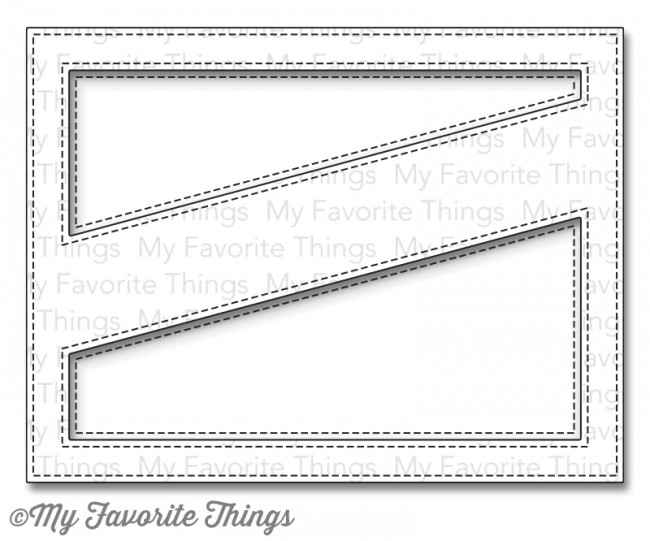 I love the arch die, super fun for shaker. What a great card you made! The mountain dies are great!! I love that look! I am in love with your shaker card!!! Love the wavy lines, such a fun card design! I LOVE your beautiful shaker scene! It's SO pretty! Love your little shaker scene and the shaker ingredients too! Very clever way to use those mountain dies. Clever way to use those dies. Love the card! Such a gorgeous card, so creative! Your card brought back great memories of years skiing at Whistler. Love the mountain peak die and added shaker. What a fun layout. Love the sparkly "snow". So many great new products!!! Oh my gosh, that little shaker scene is so cute. I love that she used tiny white beads for snow! Erin's shaker scene is seriously cute! I love your take on the shaker. What a cool shaker card! I think shakercards are something special to make. And yours is beautyfull. I need this prize - the font on the stamp is simply gorgeous! Wow! That's a really cool way to make a snow globe! So I see I have to start looking at EVERYONE's blogs every month. Sigh. This is just beautiful. And the little farm fence in the front is oh-so sweet. Oooo, I love the curvy strips of color and the scene at the bottom! Love your unique placement of the snow globe. Awesome card. Thanks for the sneak peeks. Love all the inspiration. Beautiful!!! LOVE those snow peaks!!! Love the details in your card. This is fantastic. You've made this a must-have stamp set for me! I love the font on the sentiment set - what a great card! Love the shaker card.Reminds me of a snow globe. What a wonderful, fun shaker card! Ohhh, I love this sentiment set! Those sentiments are adorable! I love Erin's shaker card, so cute! So, so cute! Just look at all those amazing details! I love how the shaker looks like a snow globe! Love the coverup die! Beautiful card Erin. Cute idea for a shaker card. Erin, your card just rocks!!! I love cute scenes like that. Lovely card! The little shaker is just perfect! I LOVE, LOVE this card and the new dies used to make it!!! So creative and sweet! I love the originality of this card! Thanks for sharing! I love the little shaker village scene and clever way to use those dies. Wow that shaker village is great such a clever use of those great dies too. TFS. Lovely shaker card! Thank you so much for the inspiration. Pretty holiday card! Those dies are awesome! Oh I love shaker cards! This is adorable! I really like the new mountain range die! Love the shaker scene. Very beautiful!! This is such a beautiful shaker! I have never seen the shaker positioned at the edge of the card-so cool! This Winter Wonderland set is my favourite new release!